Are you concerned about our forest fires? What are the steps the U.S. Forest Service is taking to battle these new mega fires? 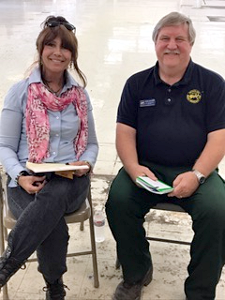 Meet new Forest Supervisor of the Rogue River/Siskiyou National Forest Merv George as we discuss the old firefighting strategies, take a look at some of the effects of last year’s Chetco Bar Fire with Cate Road resident Jeri Lynn Thompson, and talk about what the future holds. This week on Our Community. Join host Candice Michel for this two part show about the aftermath of the Chetco Bar Fire. Burned Area Emergency Response (BAER) team leader John Chatel discusses the work his team did in assessing the toll the fire took on the forest lands and watershed, and Richard Heap, a member of the Pacific Fisheries Management Council and longtime Salmon and Trout Enhancement Program (STEP) volunteer, talks about how the salmon and their spawning grounds will likely be impacted. Photo is from the Chetco Bar Post-Fire BAER web page. 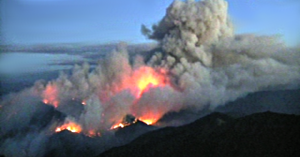 As of September 15, 2017, the Chetco Bar Fire, which started as a lightning strike deep in the Kalmiopsis Wilderness, has burned nearly 190,000 acres and is only 38% contained. Join host Candice Michel as she talks with Brookings City Manager Gary Milliman about the impact of this fire on Our Community. Photo is from the United States Department of Agriculture Forrest Service, taken on August 17, 2017. 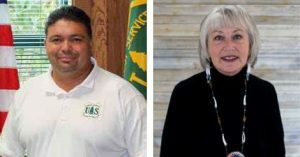 In this edition of Community Conversations, show host Connie Hunter interviews Terry A. Krasko, Planning/Public Services Staff Officer from the USDA/Forest Service about the issues surrounding the Chetco Bar Fire. 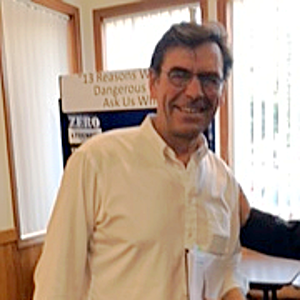 Mr. Krasko’s duties include serving as the Public Information Officer for the Chetco Bar Fire Incident Command Operation, currently located outside of Brookings, in Harbor, Oregon. Get the scoop on what we, as citizens, can do to be proactive in our area. Learn how fire incident command operations works. Listening to this program will help citizens understand the techniques and concerns of wilderness firefighting, locally, and in general, and will provide perspective and hope in spite of the hardships surrounding this local natural disaster. This special edition of Community Conversations covers a nationwide press conference where Agriculture Secretary Tom Vilsack and Forest Service Chief Tom Tidwell address U.S. Forest Service discuss preparations for the 2016 wildfire season, unfavorable wildfire trends, and funding issues that limit the ability of the Forrest Service to manage forest resources while fighting a growing number wildfires. Show host Connie Hunter supplies additional commentary and follow up with information from our local Curry County fire districts. Alongside Associated Press and other reporters, Connie was able to participate in the Press Conference via telephone. Hear what our KCIW show host asked on behalf of our neck of the woods! 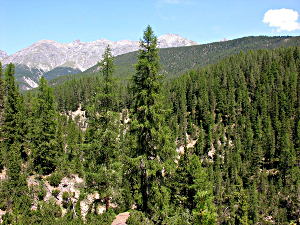 The national policy governing our forests has deep and long lasting impact on our local forests. What can we do to save our forests? Listen to this program and find out! Photo by Hansueli Krapf from Wikimedia Commons, Creative Commons Attribution-Share Alike 3.0 Unported license. 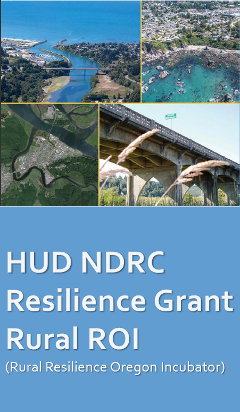 In this edition of Community Conversations, two special guests help decipher the Benefit Cost Analysis (BCA) prepared for the U.S. Department of Housing and Urban Development (HUD) Natural Disaster Resilience Competition Grant Competition (NDRC) request for federal funding. This special report provides an in-depth look at the life-saving advantages of having an Emergency Department with expanded healthcare services in south Curry County. Find out why the premier BCA analyst in the U.S. gives a 20 to 1 ratio (benefit over cost) for this NDRC project. Brookings City Manager Gary Milliman provides factual information regarding the BCA prepared by Dr. Ken Goettel demonstrating that expanded healthcare project in the NDRC application is overwhelmingly cost-effective. Milliman is joined by Southwestern Oregon Community College’s Sociology instructor Skip Hunter, who provides a better understanding of Goettel’s research method. If you aren’t sure about the differences between qualitative and quantitative research methods, Skip’s clarification may be very helpful. After a recent public meeting in which the Port Commission discussed Goettel’s BCA in less than stellar terms, Community Conversations’ show host, Connie Hunter, continues to provide fair, balanced, factual, and credible commentary. Access to critically important healthcare is a fundamental human right and is cornerstone to a healthy community. Geottel’s work provides an understanding of how an emergency department with expanded healthcare services will benefit OUR community at large. Click HERE to view or download Dr. Goettel’s Benefit Cost Analysis (PDF file). Click HERE for al list of all Curry Coast Community Radio programs covering Brookings’ participation in the National Disaster Resilience Competition. 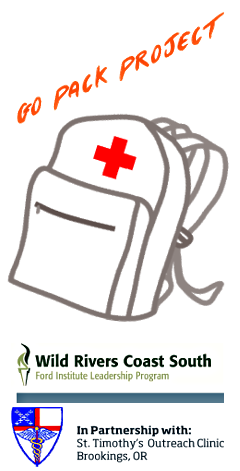 In this edition of Community Organizer, Jodi Hulbert and Scott Clapson from the Ford Leadership Institute Wild Rivers South Cohort discuss Project Go Pack. Jodi and Scott talk about their experience in the Ford Leadership Program, how their Cohort came to decide on this project through consensus, and how they are working on making these Emergency Go Packs a reality for our local elementary schools in Smith River, Brookings, Gold Beach and Port Orford. It’s vital for all residents of the Oregon Coast to be prepared for a major Cascadia Subduction Zone earthquake and the resulting tsunami. Our youth are one of the most vulnerable segments of our population. It’s important that they be an integral part of our emergency preparedness planning.